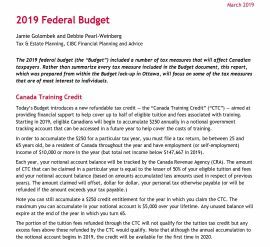 The 2019 federal budget included a number of tax measures that will affect Canadian taxpayers. What types of income might you receive in retirement? How will your retirement income be taxed? 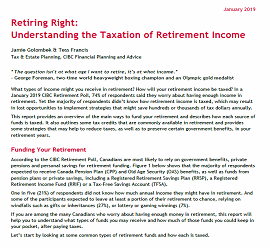 In a January 2019 CIBC Retirement Poll, 74% of respondents said they worry about having enough income in retirement. Various types of investment income are taxed differently. This report will review the tax implications related to the most common forms of investment income and will go through what expenses may be deducted against such income to reduce your taxes payable. 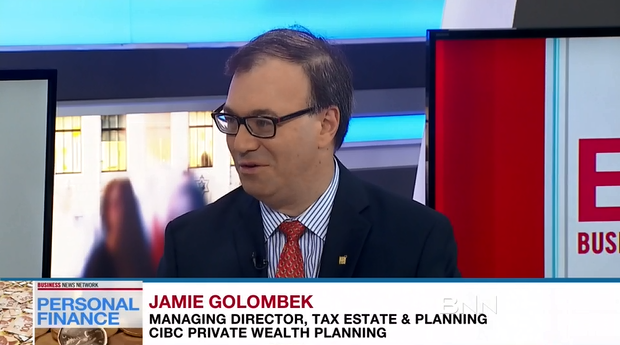 Jamie Golombek tells BNN about the advantages of financial gifts and answers some common questions. 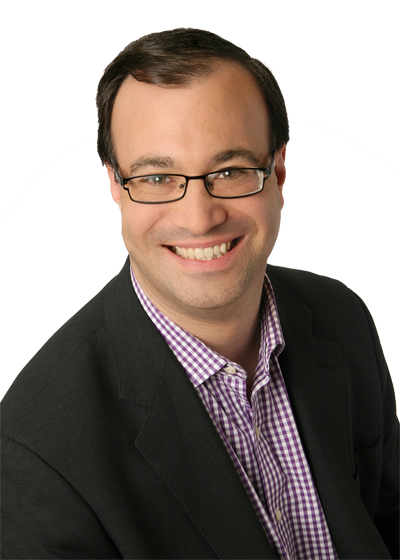 Contact Jamie with comments or questions... e about your primary interest right now!